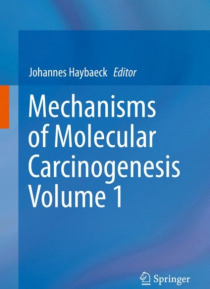 Divided into two volumes the work offers a so far unmatched broad and at the same time deep knowledge on molecular and cellular mechanisms of carcinogenesis and�offers�comprehensive insight into�clinical, therapeutic and technological aspects. This 1st Volume presents tumor entities of the ocular system, the thyroid organ, the oesophagus, gliomas, non-glial brain tumors, head and neck as well as … lung cancer. In addition it also discusses in-depth potential novel molecular players and the role of stem cells as well as the endocannabinoid system in carcinogenesis, it furthermore explains tumor metabolism components and signaling pathways. Each of the chapters discusses potential therapeutic strategies and novel drug targets. The book addresses basic scientists and medical researchers interested in translational cancer research.